Speaking of expanding content, one thing that still irks me is the use of Adventure packs. It isn’t that different from DLC… except it is. DLC of an individual level or campaign usually maxes out at around $15 unless it is a pretty massive expansion. In the case of Skylanders, it ends up being thirty dollars for one level, one Skylander and two magic items. Sure, I get to add another Skylander to the shelf but still, it’s $30 dollars. But at the end of the day, it’s a choice. 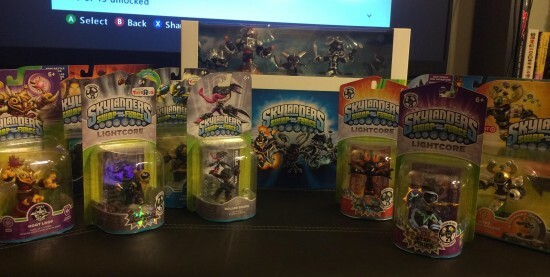 At least for me it is and as you can see from the video below, I do love Skylanders SWAP Force. If you’re the parent of a kid who is into Skylanders, best of luck to you. Trying to explain why financially they can’t do everything they want in a game when the kid next door can isn’t a battle I want to touch. Luckily when I do finally have kids, they will have a dad who has a collection of probably well over 100 Skylanders at that point for them to play with and they will all be leveled up and decked out too. 160 million working Americans from receiving a tax increase. out of funds collected from you. There are literally hundrdeds of seminars and such on going on.